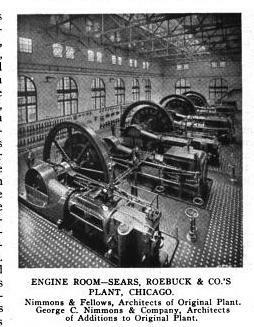 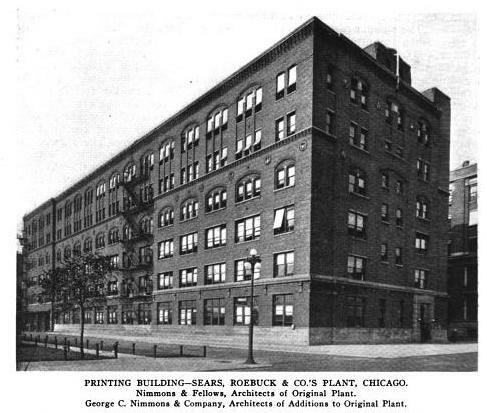 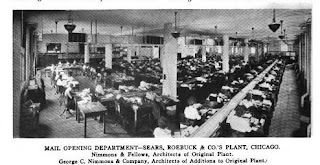 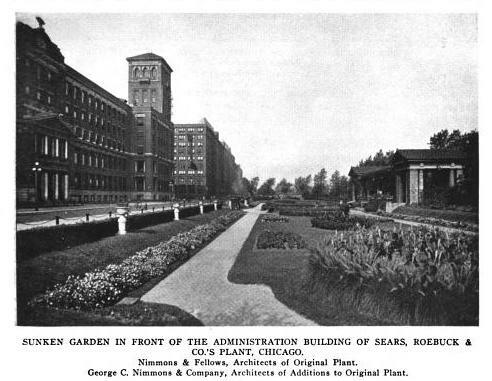 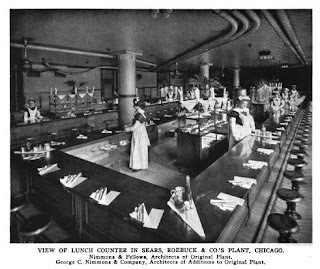 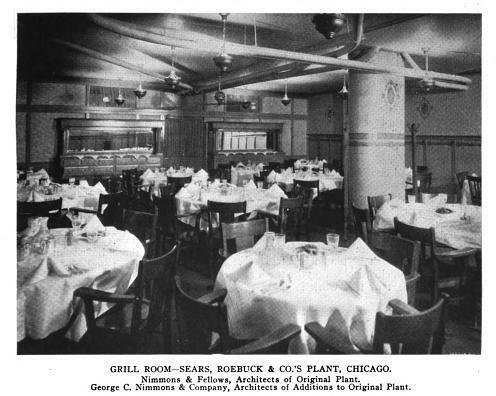 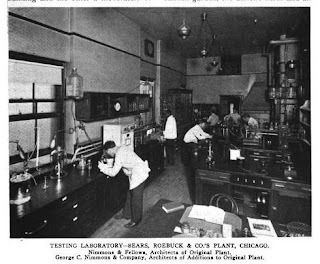 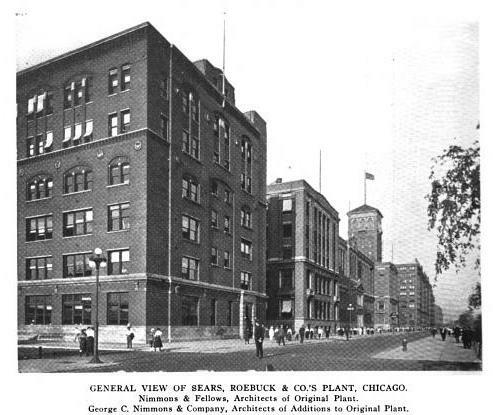 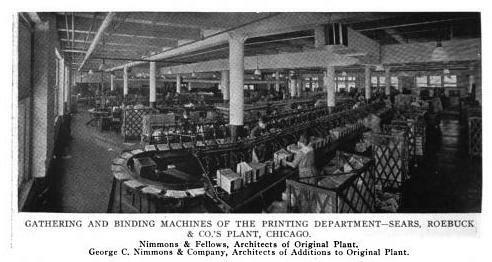 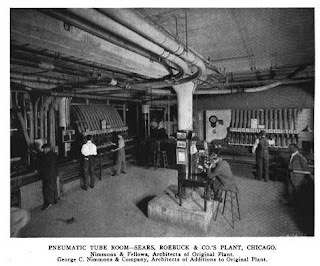 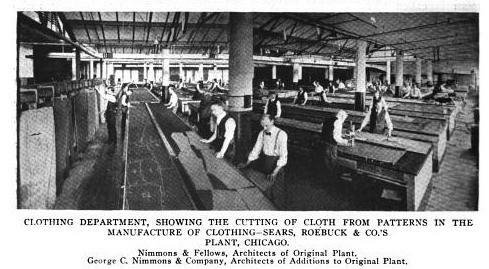 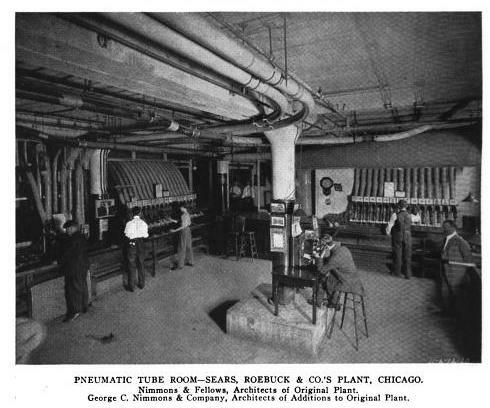 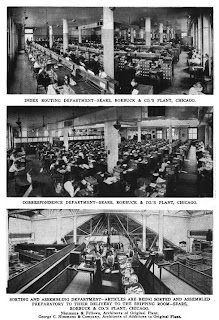 The Sears, Roebuck & Company Plant designed by Nimmons & Fellows c. 1904 in Chicago, Illinois. 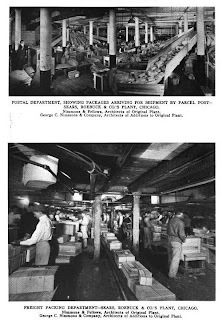 The complex of buildings served as the company's headquarters until the mid 1970s and included a catalog printing plant and mail-order building that was the largest kind of its time. George C. Nimmons designed later alterations and enlargements to the plant complex. 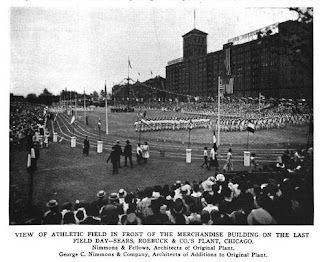 Click HERE for more on the Sears, Roebuck & Co. Plant. Click HERE to see the only remaining portion of the mail-order building and HERE to see the administration building on google street view. 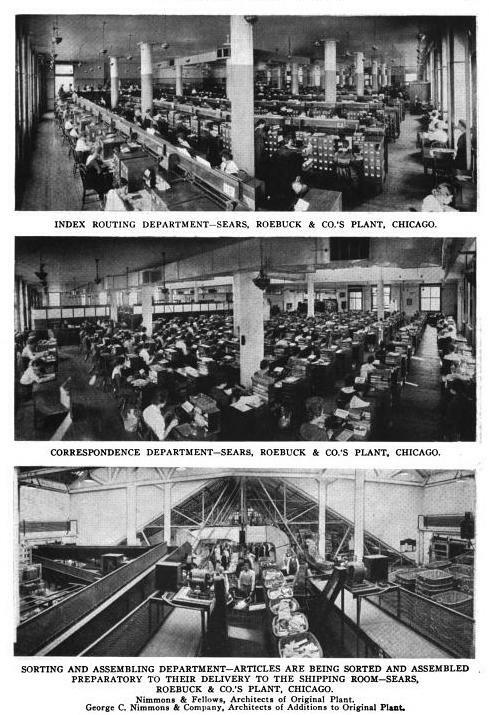 I find this series of pictures nearly as fascinating as the NY street views of the previous few days. The sunken garden and playing fields across the street from the company buildings are an unexpected touch of humanity in the midst of what was likely a sweatshop in the early industrial age.